I was a bit surprised when I received the Akyra, as they were a good bit heavier than I expected when I lifted the box. I pulled them out, still hoping they would lighten after removing the packaging, but it was not to be. I think I had very high hopes going in, thinking that this would be a more treaded version of the Akasha (my top shoe of 2016) and the specs indicate similar weight, but these are very different shoes. Once I adjusted my expectations, it turns out that the Akyra fills a niche and does it very well. The 3 layer upper is comprised of Airmesh with an overlayed TPU Microlite Skeleton, which is extremely secure, stable, durable and comfortable. Though advertised as breathable, I found it to be somewhat on the warm side, even on 75-80 degree days, but the trade off is that it works very well at keeping out dirt and sand. The toe bumper, like the rest of the shoe, is burly and bulletproof and can withstand anything you can kick your foot at. The overlays resemble Oragami and hold the midfoot and forefoot in place very well under any circumstance. Fit is quite accommodating and generous for a La Sportiva shoe with a wide throat and not overly narrow toe box as is often the case with other model La Sportiva shoes. The laces have a nice stretch to them and interact perfectly with the loop eyelets. I don't have to pull very hard, yet am able to achieve a perfect fit on the first try and never have to re-tie. The loops at the heel are handy for clipping to a biner if need be, but I never needed them when putting on my shoes. The gusseted tongue is a nice touch for fit, comfort and ease. The tongue is very thick and well padded. The heel collar is well padded, well protected and has great hold. Height and comfort is excellent. The injection shock absorbing MemLex EVA is very firm and somewhat stiff. It is very protective for long days on your feet, but I found it to provide a very flat feel for running and seems to contribute greatly to the overall weight of the Akyra. The heel is especially chunky and blocky, but it is quite stable and protective. The outsole is, true to La Sportiva's roots, ready to tackle all mountain terrain. Using FriXion rubber, deep Trail Bite lugs with Impact Brake System, the Akyra can confidently handle any trail surface or terrain. The rubber compound is quite sticky, yet very durable and does very well in the wet, in snow, on ice (within reason) and especially in loose dirt, steep off trail, talus hopping and grunge. The Trail Bite heel offers supreme grip and traction on descents. Deep lugs pierce the snow and dirt. As I first mentioned, the Akyra is heavy and big. Here is sits next to the Akasha, where you can get a good comparative perspective. The Akasha, while not the most svelte shoe out there, tips my scale at 11 1/4 oz.. The all around performance and protection of the Akasha is well worth this weight and runs lighter than it's measured weight implies. *The Akyra however, despite being advertised as the same weight, weighs in at nearly 2 1/2 oz. more per shoe. It does not sound like a lot, but it really feels it in the hand and more importantly, on the foot. 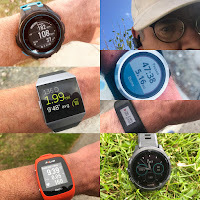 Once I got over the weight issue though, I started to look at the Akyra as more of a hiking shoe that you can run in when you need to vs. a true trail running shoe. Though you can run in the Akyra, I found it to be prohibitively stiff, heavy and not at all responsive. This is a shoe that is more suited for all mountain hiking in varied conditions, rocky technical terrain, multi day backpacking/fastpacking, using with supplemental traction devices or strap crampons. The Akyra is also a good crossover shoe for somebody who has always worn hiking boots and is transitioning to trail running shoes, for somebody who still wants plenty of stiffness, durability, protection, stability and traction that hiking boots offer. For further all mountain, all season usefulness, the Akyra will also be available in a Gore Tex version (which will add some to the weight), but increase it's 4 season usage and versatility. La Sportiva Akyra vs. La Sportiva Akasha (RTR review): The Akasha is much more of a running shoe, lighter, faster, more flexible and responsive. Traction is generally comparable, but the Akyra has more pronounced lugs for off trail and snowy conditions. Akyra has better durability. La Sportiva Akyra vs. La Sportiva Wildcat: Similar weight, cushion, protection, but the Wildcat feels a bit more runnable and less stiff. La Sportiva Akyra vs. La Sportiva Ultra Raptor: Very similar shoes and a lot of overlap in how they feel and perform. The Akyra is likely to accommodate a wider range of feet and has a much more durable outsole with much better lugs. La Sportiva Akyra vs. Saucony Xodus ISO (RTR review): Both are very protective for all day use. The Xodus ISO is more of a running shoe, but has a slightly less secure upper that is also a bit more compliant and better ventilated. The Akyra has better traction and overall durability/security/protection. La Sportiva Akyra vs. Brooks Cascadia (RTR review with comparison to Montrail Caldorado): Cascadias are very popular with hikers/thru hikers. The Akyra weighs a bit more than the Cascadia, but the added weight would be worthwhile for all of the added durability and all terrain versatility. The Akyra was provided at no charge. The opinions herein are entirely the author's. Hi Mauri, the Akyra seems to have a slightly wider toe box and a bit more vertical room in the toe box as well, but without any compromise in foothold/performance. Awesome, I appreciate the response!! 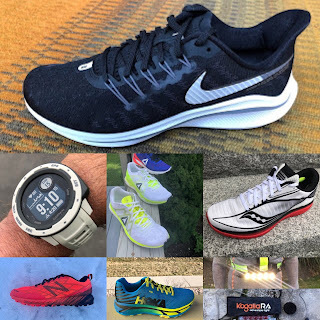 The Akyra is a different shoe than the Wildcat and Ultra Raptor (which seem more similar), it is on the heavy side as a trail runner, but great if primarily hiking. As far as the arch goes, they seem similar with an average arch. Have you considered custom insoles, or even superfeet? After this review and my earlier comment I bought the akyra a few months back as a replacement hiking shoe for worn out wildcats. My impressions are below, take them for what you will: I have a wide foot but have had very good luck with la sportiva despite their reputation as runnin narrow. I ended up returning the Akyra after putting around 100 miles on them both running and hiking under load. The shoe was great, except it didn't not fit my foot. The upper is lower volume than the wildcat and therefore less sloppy, but less forgiving when your feet swell after long days. Compare the insoles they are exactly the shape of the wildcat, however the upper is softer where it connects to the sole so my foot spilled over a little causing me to blister (I never blister). I really wanted to like the shoe. However I have returned to the wildcat as my hiker and bushido as my runner. All of that said I would recommend the shoe as long as you don't have my "square feet"
Great review - thanks! Just wondering about sizing. Generally La Sportiva (e.g. Ultra Raptor) runs a bit smaller length-wise than my regular running shoes (Brooks Adrenaline) and hiking shoes (Merrell Moab Ventilator). Does this run true for the Akyra? Should I size-up accordingly? What size did you select (EU) compared to your US size in other brands? Thanks again. I find that the Akyra runs true to size and not quite as snug as other Sportiva models, but it depends on your foot, preference and sock choice. I always suggest trying them on first, or if ordering online, buy from a reputable dealer with a good return/exchange policy just in case. Good luck!